Considering the scale of the environmental issues we have to address, FAMAE this year doubles the prize amount to two million euros for another crucial environmental concern : water! The stakes are high and the expectations for concrete, effective solutions, are immense, both in the developed and in the developing world. 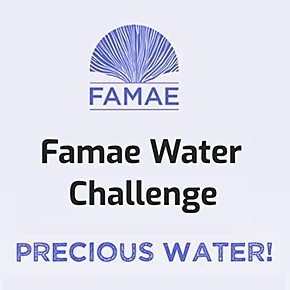 The FAMAE Water Challenge is aimed at entrepreneurs, start- ups and small businesses, students, researchers, NGOs, and community groups. Unique in its size and global scope, the goal of the competition is to support brilliant initiatives with a major impact on access to drinking water, water treatment, water preservation, improving water quality and reducing the waste of water. Apart from the funding, the candidates will also benefit from guidance of the FAMAE Foundation members and its network (entrepreneurs, investment funds, partners etc) to assist them in the development of the financial, commercial, legal and marketing aspects of the project.